Certain nutrients are known to interact with blood pressure medications. Any adverse interactions can alter their efficacy, thereby failing to improve your condition. Nutrients found in orange juice hold this potential. Because so many medications are used to lower blood pressure, whether you can take a medication with orange juice depends on the prescription. Talk to your doctor to determine if dietary restrictions apply to your medication. Thiazide diuretics are by far the most common medication used to treat high blood pressure. They stimulate the kidneys to eliminate both water and sodium from the body, which reduces the volume of your blood. A side effect, however, is the loss of potassium, so medical professionals often recommend taking this medication with orange juice or bananas to supplement this mineral. Thiazide diuretics are sometimes taken with a beta-blocker, a medication that opens the blood vessels, helping reduce the workload of your heart. But fruit juices, such as orange, apple or grapefruit, can alter the efficacy of this drug, according to a study by the University of Western Ontario. It appears the flavonoid of naringin in these juices reduces the absorption rate of beta-blockers, particularly atenolol and potentially acebutolol. 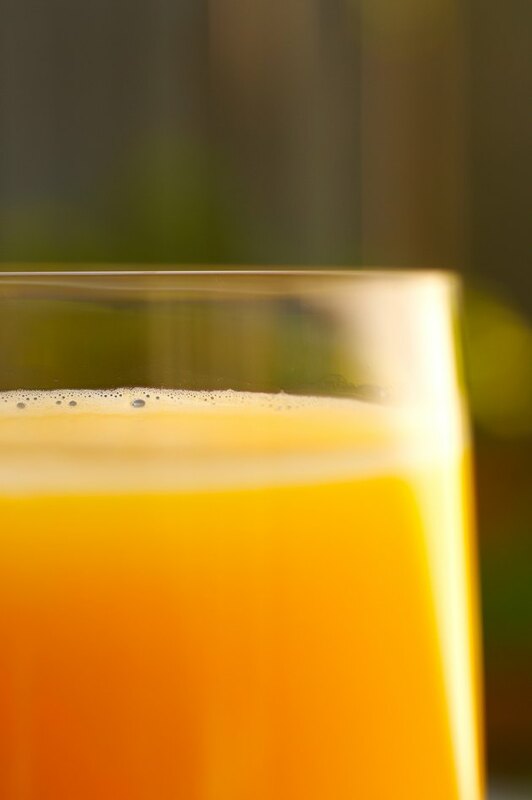 Talk to your doctor to determine if you should be drinking orange juice with your blood pressure medication. Like other blood pressure medications, calcium-channel blockers help relax blood vessels, which can slow your heart rate and lower your blood pressure. Although grapefruit juice is the most problematic, it appears that orange juice — particularly when fortified with calcium — can interfere with the absorption of this drug, according to Harvard Medical School. This can reduce the efficacy of the medication. Renin inhibitors are medications that inhibit the production of renin, an enzyme that initiates an elevation in blood pressure. A study published in the March 2011 "World Journal of Cardiology" found that orange juice could reduce the plasma concentration of aliskiren, the most common renin inhibitor, by 62 percent, thereby reducing its activity on blood pressure. ACE inhibitors and angiotensin II receptor blockers both help open the blood vessels by either blocking or inhibiting chemicals that narrow the blood vessels. There's no indication that you can't take these medications with orange juice — at least based on available information, but talk to your doctor to ensure that adverse reaction do not exist. How Does Hawthorn Berry Lower Blood Pressure?